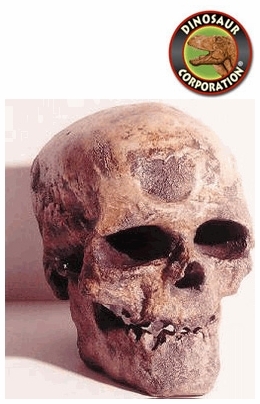 Cro-Magnon is one of the main types of Homo sapiens of the European Upper Paleolithic. Cro-Magnons lived from about 40,000 to 10,000 years ago in the Upper Paleolithic period of the Pleistocene epoch. Cro-Magnon were anatomically modern, only differing from their modern day descendants in Europe by their more robust physiology and slightly larger cranial capacity.